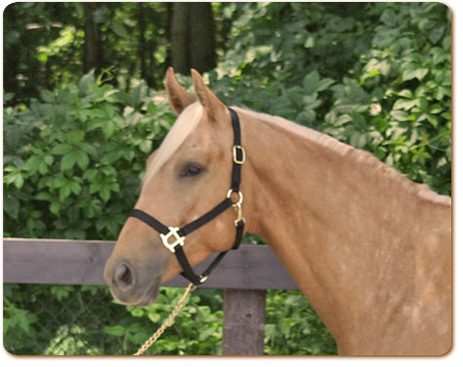 Golden Purpose was born April 16, 2007. 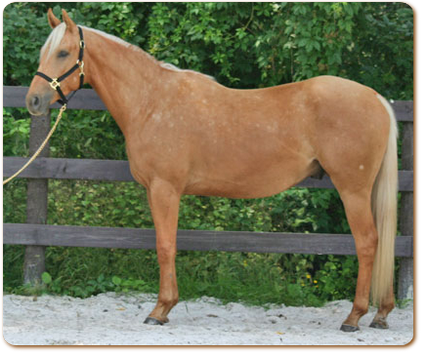 He is by Guaranteed Gold and out of our Social Wizard daughter BJ's Purpose, a bay, Thoroughbred mare. 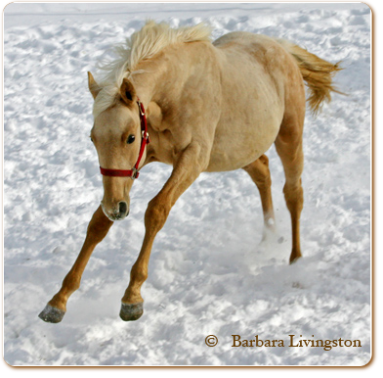 Golden Purpose (barn name Baxter) is a deep gold palomino gelding. 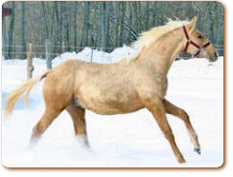 He is a full brother to our Buckskin Boy, another promising coloured Thoroughbred gelding. 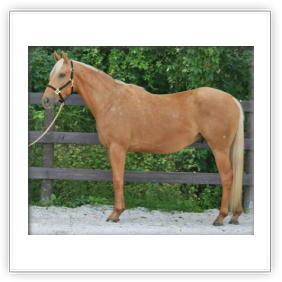 Golden Purpose has been started under saddle. 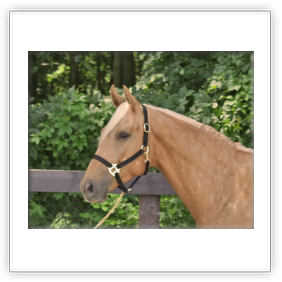 He walks, trots and canters with ease and no hesitation at all. 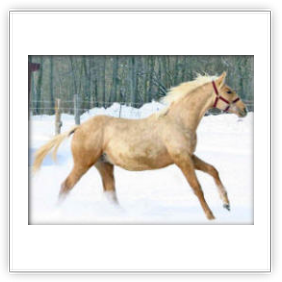 He is a beautiful mover and has a willing attitude, always aiming to please his rider.